On Saturday, February 9th from 10 am – 2 pm, Deborah Heart and Lung Center will host the 9th Annual Women’s Health EXPO at Fountain of Life Center, located on Columbus Road in Burlington, NJ. 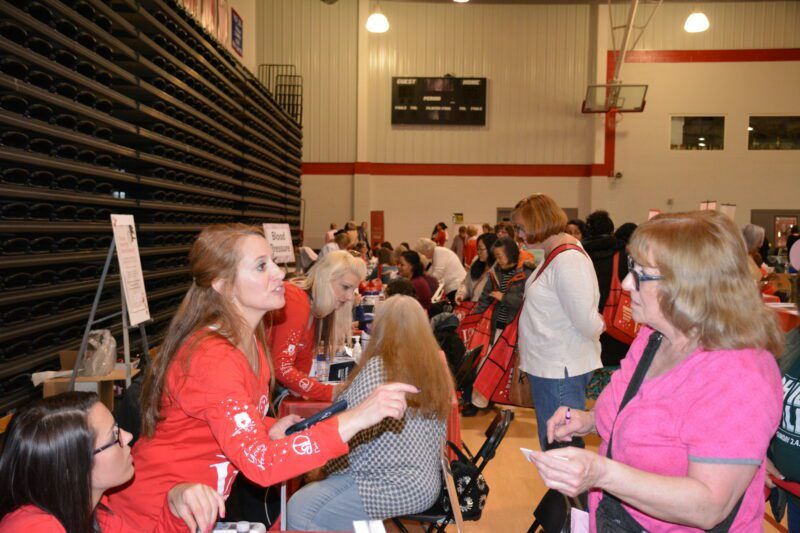 A variety of Deborah physicians – representing various specialties – will join with a host of other health professionals to provide health screenings to the more than 1,000 women expected to attend. Joining Dr. Palmer will be Denise Zingrone, D.O., Associate Director of the Women’s Heart Center; Jenine Vecchio, M.D., Director, Deborah Specialty Physicians Diabetes Center; and Navdeep Brar, M.D., Attending Pulmonologist. Screenings Deborah’s staff will provide include: blood pressure; glucose; body fat analysis; pulmonary function testing; balance; cholesterol/lipid panels; sleep apnea; asthma information; peripheral arterial disease assessment; bariatrics; and wound care and lung cancer information. Additional screenings include colon cancer information from NJCEED; hearing screenings from Associates in Hearing Healthcare, and sun damage assessments and flu shots by the Burlington County Health Department. In addition to the variety of health screenings, the EXPO features a wide range of wellness, health, and fitness activities for women of all ages, including: pampering massages and bodywork; Yoga Therapy by Evelyn; T’ai Chi by Next Step Strategies; mini make-overs by RetroChic Beauty; foot massages from Healthful Solutions 4 U; jewelry making from Art with Marianne; entertainment from Elaine and the Cimarron Sky Band; custom-tailored workout plans from Soulscapes Fitness; blow-outs, extensions, and hair care from True Colors Hair Salon; Crafts with the Burlington County Library, and Amanda Lee Photography. A wide variety of food samplings will also be available, including a pasta station by EXPO Lead Food Sponsor Mario and Frank’s II Italian Restaurant & Oven Fresh Pizza and Vintage Vineyards, with other healthy tastings by Chick-Fil-A, Properly Fueled, and Wawa. Radio station B101.1 will be on hand with good tunes, prizes and giveaways, and the Philadelphia Soul Mates will also be stopping by. Additionally, dozens of door prizes will be given out throughout the day. In addition EXPO Premium Partners Aspen Hills Healthcare, CrisLaRose, Garden State Diagnostics & Imaging, Hampton Behavioral Center, Holy Redeemer Homecare and Hospice, Horizon Connect NJ, Masonic Village at Burlington, Med East Ortho, Moorestown Visiting Nurses, New Jersey Department of Children & Families, Praesto Group, Waters Medical House Calls, and Yoga Mandala will provide a wide range of information and services for EXPO visitors.